production of A Place to Belong. The young actors in A.C.T.’s Young Conservatory (YC) and Education & Community Programs have been working hard, both inside the rehearsal room and out. Over the past few weeks, the talented casts of A Place to Belong by Marisela Treviño Orta—this year’s Collaborative Youth Arts Project, which begins performances today at A.C.T.’s Strand Theater—and Urinetown: The Musical have teamed up with organizations throughout the Bay Area to explore the complex issues in these plays and in their lives. One of these organizations is Urban Displacement, a nonprofit research and action initiative of UC Berkeley, the University of Portland, and UCLA that maps displacement in California. In a workshop during rehearsals for A Place to Belong—which explores gentrification through the eyes of Bay Area teens—the young actors from A.C.T.’s YC, Education & Community Programs, and Destiny Arts Center created poems based on their neighborhoods and talked about their own experiences of changing communities. Another organization was GLIDE in the Tenderloin, which tackles socioeconomic issues, accessibility to resources, and anti-oppression awareness. Several cast members of the YC’s upcoming production of Urinetown: The Musical volunteered there during a break in rehearsals, preparing food, helping to feed folks in need, and learning about the importance of unconditional love for all community members. The Urinetown cast also visited the EcoCenter at Heron’s Head Park in the Bayview to discover their water conservation and environmental justice efforts in San Francisco. Next week, they will take a walking tour of the Tenderloin and SOMA districts to experience the history, struggles, and beauty of these San Francisco neighborhoods. These explorations have been transformative. 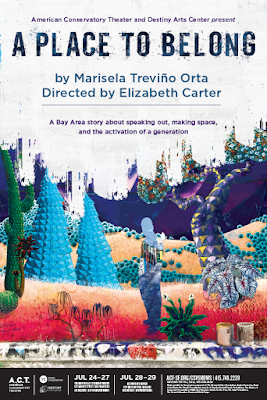 The actors have learned more about the issues confronting the characters they are portraying and deepened their own understanding of themselves and the Bay Area’s growing and changing neighborhoods. We hope that these programs will allow our students to feel empowered to learn more about their communities and to discover ways to actively and safely support those around them, while continuing to hone and practice their theatrical craft. 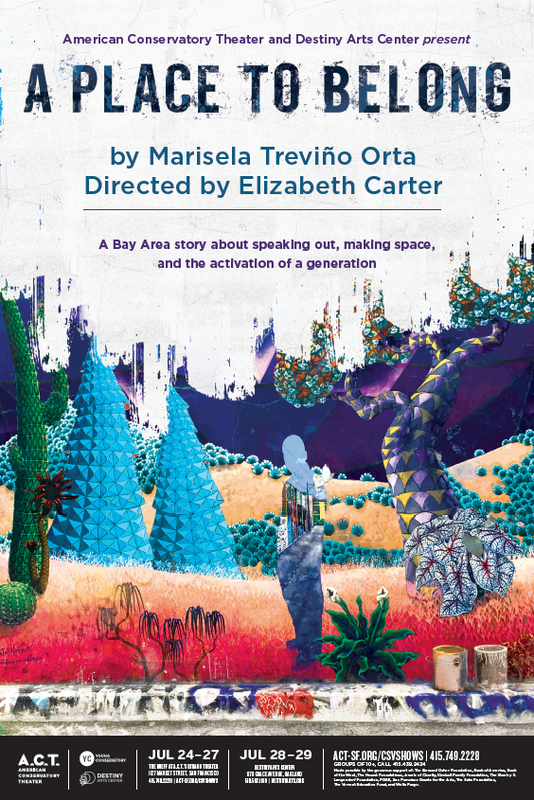 A Place to Belong runs July 24–27 at The Rueff in A.C.T.’s Strand Theater, and July 28–29 at Destiny Arts Center in Oakland. Urinetown: The Musical runs August 8–18 at A.C.T.’s Strand Theater. Click here to purchase tickets for performances at A.C.T. To purchase tickets for performances at Destiny Arts Center, click here. Stephanie Wilborn is A.C.T. 's Community Programs Manager.